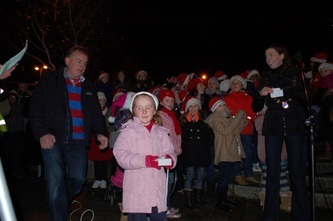 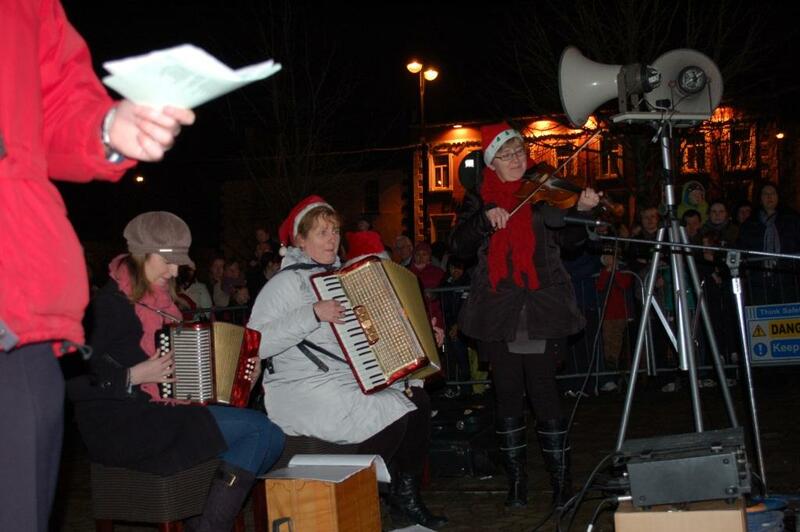 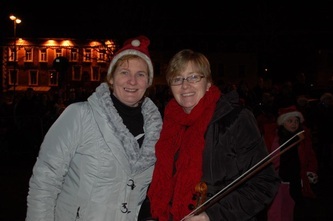 Turning on Christmas Lights in Mitchelstown 2012! 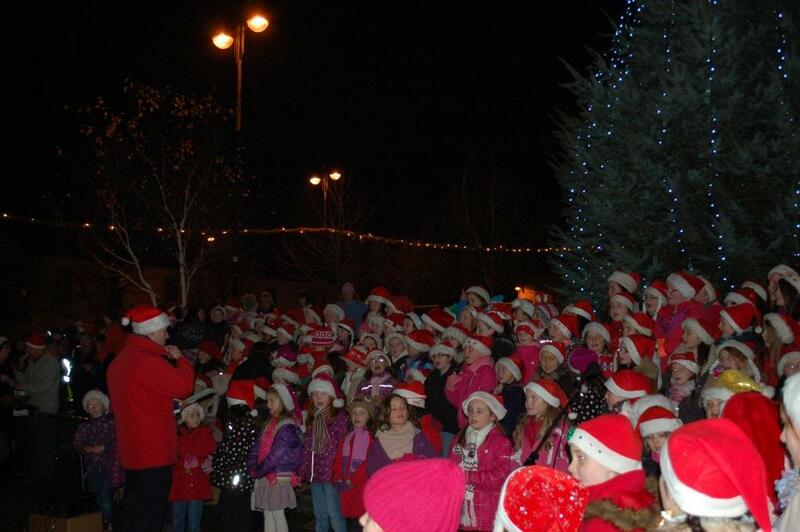 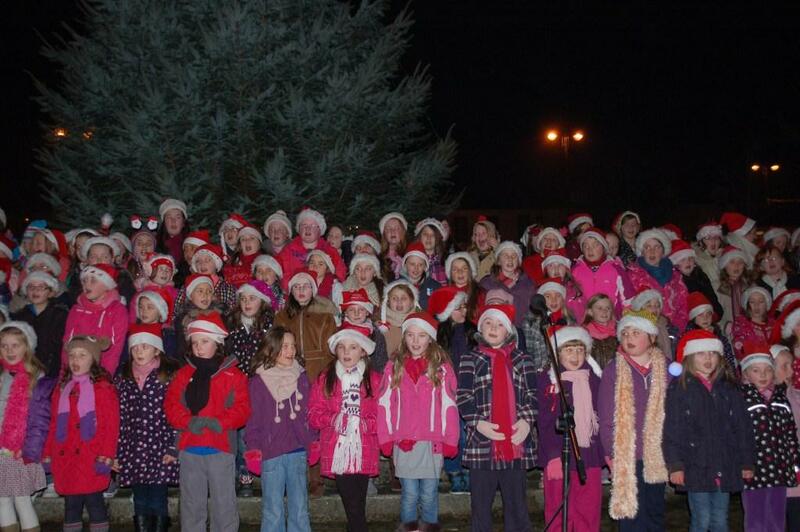 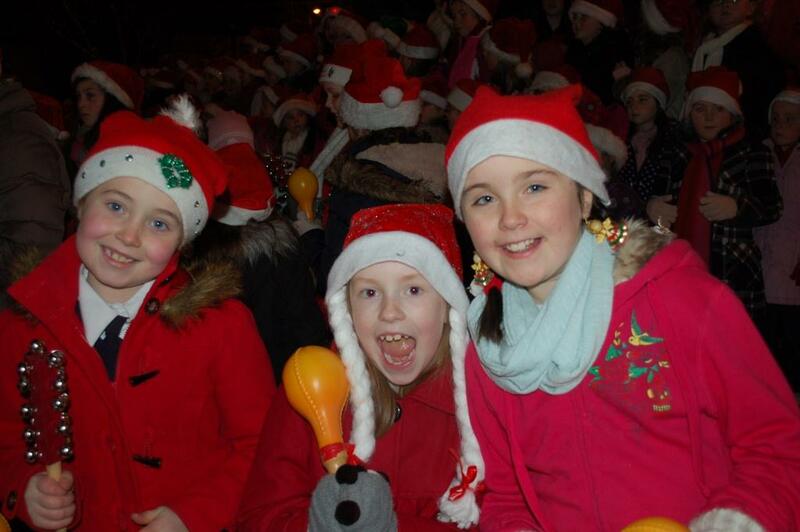 On Friday 30th November pupils in our school from 1st to 6th class sang in the school choir for the Christmas lights being switched on. 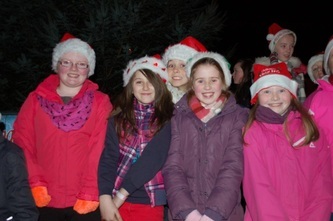 One lucky pupil even got to push the red button that lit up the tree. 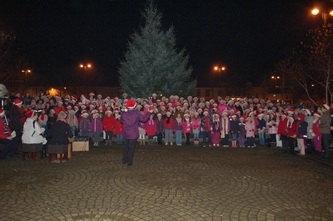 Teachers and pupils gathered in the square along with many parents and other members of the community. 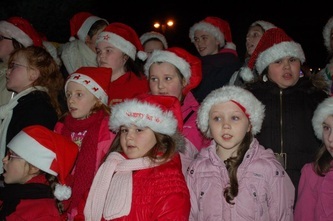 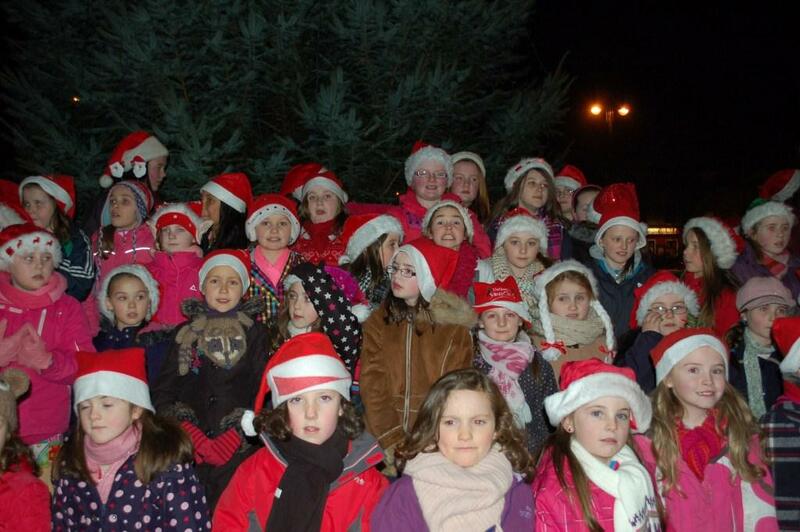 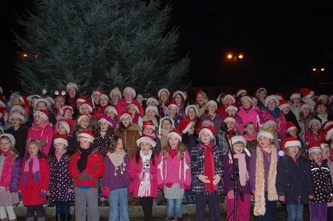 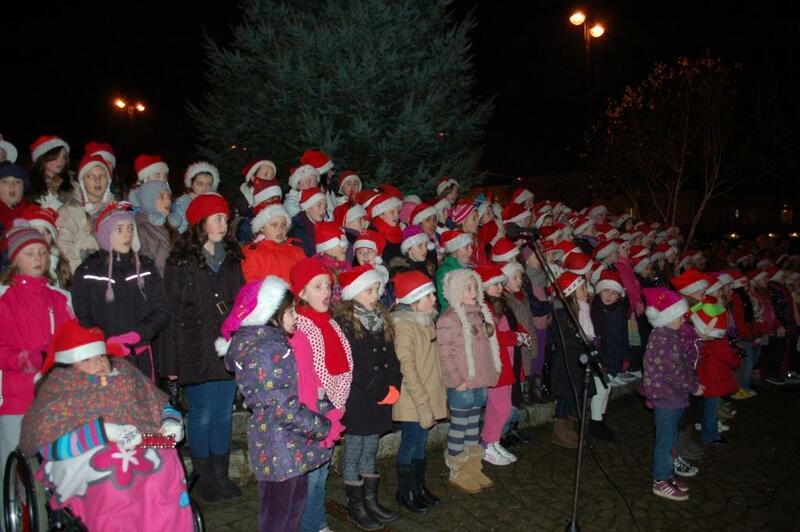 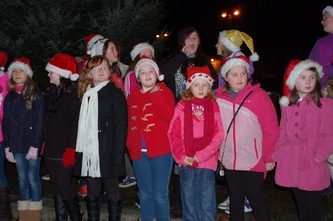 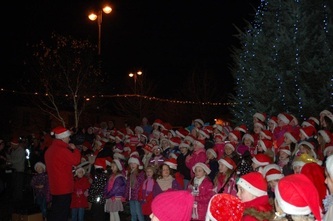 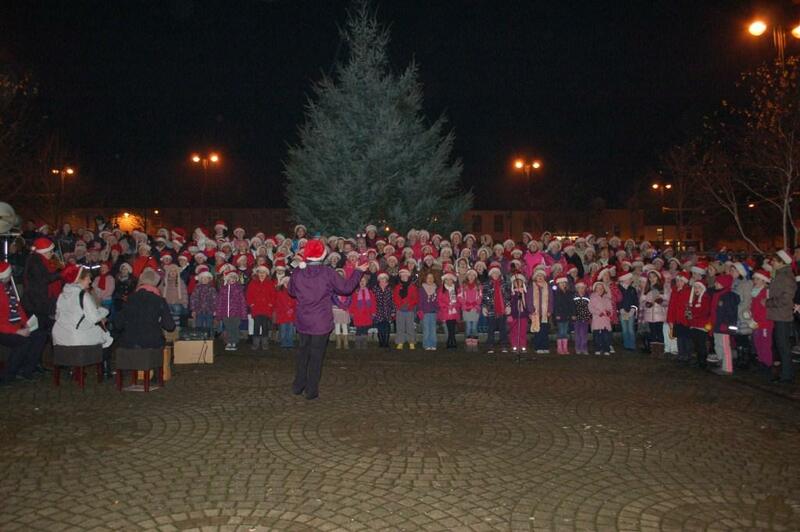 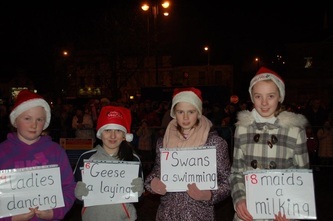 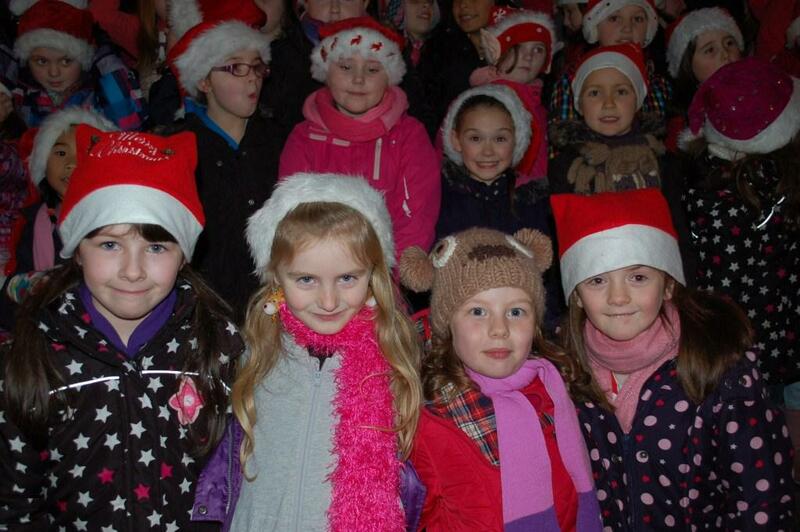 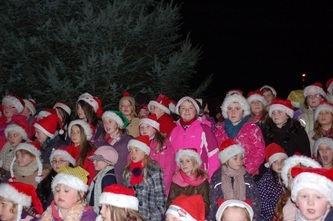 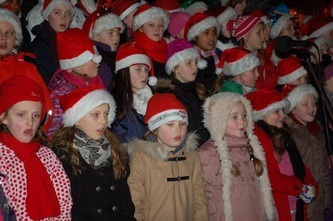 The pupils sang various Christmas songs and carols before and after the switch on of the lights. There was a great atmosphere in the town and the choir sang beautifully. 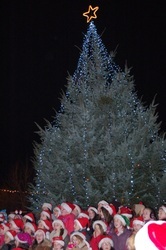 Look at some pictures below.